After the impressive UX21, can lightning strike twice for Asus with this larger 13.3-inch offering? Alongside the Acer Aspire S3, The Asus UX31 is one of the first Utrabooks to hit the market and actually launched within a week from the Acer Ultrabook in the United States. Two sizes are available at the time of review, the 11.6-inch (UX21) and the 13.3-inch (UX31), each marketed with the humble “Zenbook” moniker. The review below will cover the UX31E-DH52, available now for $1099. Another model, the UX31-DH53, is also available with double the SSD capacity of the review model on hand, but costs around $300 more. Otherwise, both models are essentially analogous. While we gave glowing remarks to the UX21, was Asus able to translate that quality to this larger 13.3-inch variant? Or is the cheaper $899 Acer Aspire S3 the better deal? The “Ultrabook experience” is no easy feat to deliver when the target maximum price is $1000, but our review below will analyze everything that the UX31 has to offer in this ultrathin category. In fact, we can tell you right now that we walked away quite impressed with what is essentially Asus’ first attempt in the Ultrabook market. Similar to its little brother the UX21, the UX31 makes a very promising first impression. The unibody brushed aluminum chassis really works its magic here in terms of presentation and polish. Fingerprints hardly show up anywhere outside of the screen and the lid is especially eye-catching with its heavy reflections off of the spun metal concentric circle design. At only 3mm (0.118 inches) thick on its front edge and 9mm (0.354 inches) thick on its rear, the notebook is even slightly thinner than the competing Acer Aspire S3, but still a tad bit thicker than the 13.3-inch MacBook Air. Beyond the initial presentation, the Asus continues to impress with the overall build quality. Pressing down on the lid would barely make an indentation and it is almost equally as hard to flex when opened. The base is also quite firm, but we found that the side left of the touchpad was easier to depress with a finger than the opposing right hand side. It’s worth mentioning that the notebook is not completely aluminum alloy either as the inner screen frame is noticeably plastic. Fortunately, it doesn’t detract from the solid workmanship of the overall design. Equally outstanding are the hinges of the UX31. 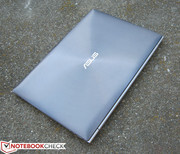 After handling the Acer Aspire S3 and its weak hinges, the Asus Ultrabook is definitely a sigh of relief in this regard. The center hinge “bar” connecting the monitor portion to its base does a very good job preventing any vibrations that may occur from typing under less than stable conditions. It even houses the system speakers. Overall, the chassis of the UX31 is definitely commendable as Asus was able to translate the already impressive build and style of the smaller UX21 to the 13.3-inch UX31 without any major losses. The look is a bit more boxy and rectangular than the similarly-sized MacBook Air or even the Aspire S3, but that is ultimately up to user preference. Physical connectivity options in this review model include all of what is available in the UX21, but in slightly rearranged positions. The mini-VGA port, for example, is now located on the right side adjacent to the micro-HDMI port. Users wanting to use external monitors with HDMI will have to invest in an HDMI adapter, but that is the price to pay when the full-size port can be about as thick as the notebook itself. It’s also worth noting that the audio jack is simply for headphones or external speakers – there is no dedicated input for a microphone. Meanwhile, the extra space offered by the UX31 allowed Asus to integrate a 2-in-1 card reader on the left side, something that the UX21 is inconspicuously missing. The front and back edges, however, remain free of ports. The Kensington lock is also nowhere to be found. Wireless connectivity includes WLAN and Bluetooth. Options for GPS, WWAN or WiDi would have been nice, but competing ultrathin notebooks do not currently offer much beyond the typical WLAN and Bluetooth functionalities, anyway. Both the WLAN and Bluetooth modules are provided by Atheros, but the Bluetooth radio in particular is version 4.0. This revision uses lower energy protocols compared to previous versions of Bluetooth. The UX31 comes standard with a surprisingly small AC adapter and even a slim brown notebook case not too different from the one included with the UX21. USB-to-RJ45 and mini-VGA-to-VGA adapters are included in the box as well, but there is no adapter for HDMI. While it would have been nice for Asus to include one as a third dongle, they are nonetheless inexpensive investments for the end user. Official optional accessories are nonexistent for now, but plenty of third party products exist for users demanding external optical drives or hard drives. After all, some users may benefit heavily from the faster speeds offered by the USB 3.0 port. There is no docking port to speak of, however, so proprietary docking stations would be out of the question. Asus throws in a two-year worldwide limited warranty and a one-year accidental damage protection plan with tech support as standard. Retailers such as Best Buy offer additional coverage if needed for at least $200 more. The non-backlit and flat chiclet-style keyboard feels surprisingly good to type with. The keys are hard-textured and feel similar to the rest of the notebook case. The overall keyboard size is quite roomy (28.25cm x 10.75cm) and the generously spaced keys mean that nothing is too cramped. Even the arrow keys, which are notorious for being squeezed too tightly in notebooks this size or smaller, are of ample size and have plenty of space. Unfortunately, this also means that there are no dedicated ‘page up’ and ‘page down’ keys, such as the ones on the Aspire S3. Although to be fair, the MacBook Air and Samsung Series 9 notebooks don’t have these two dedicated keys, either. In terms of tactile feedback, the quiet keys press solidly and are not mushy at all. They are, however, a bit shallow, but the overall feel is easy to become familiar with after a few minutes of typing. The only major complaint about the already impressive keyboard is that it is not backlit as that would have been the icing on the cake. In fact, three of the keys (power, F2 and caps lock) each have tiny LED indicators right below them. Otherwise, the keyboard definitely does not disappoint. The touchpad is quite large (10.5cm x 7cm) and is smoothly textured similarly to the rest of the notebook. Keep in mind, though, that the bottom portion of the touchpad (about 10.5cm x 1.5cm) will not actually move the onscreen cursor. Thus, the available surface area for cursor control is unfortunately smaller than it looks. Left-clicks and right-clicks are done by pushing down on the respective sides of the touchpad, but the major problem is that it recognizes left clicks as right clicks and vice versa more often than we liked. Sometimes it wouldn’t even register the click at all. The cursor would also unexpectedly move to the edge of the screen for no reason. Thankfully, the latest Asus drivers (version 9.1.7.7 or above) fix many of these problems and make the touchpad much more responsive with less unintended actions. This specific model shipped with driver version 9.1.7.0. Meanwhile, the multi-touch gestures are a mixed bag. While two-finger scrolling works as well as expected, pinch-to-zoom can be quite unresponsive and slow. But, the touchpad as it is out of the box is passable. We recommend updating to the latest touchpad drivers immediately, however. The Asus UX31 uses a 13.3-inch glossy display with a high native resolution of 1600x900 pixels. This resolution is higher than many other similarly sized notebooks where the smaller 1366x768 resolution is more common. This includes the Acer Aspire S3 and Samsung Series 9, the latter of which is at least a few hundred dollars more expensive than the Asus UX31. The resolution of this Asus is even denser than the 1440x900 monitor of the 13.3-inch MacBook Air. As a result, text and images appear very sharp and the screen itself is especially bright as well. 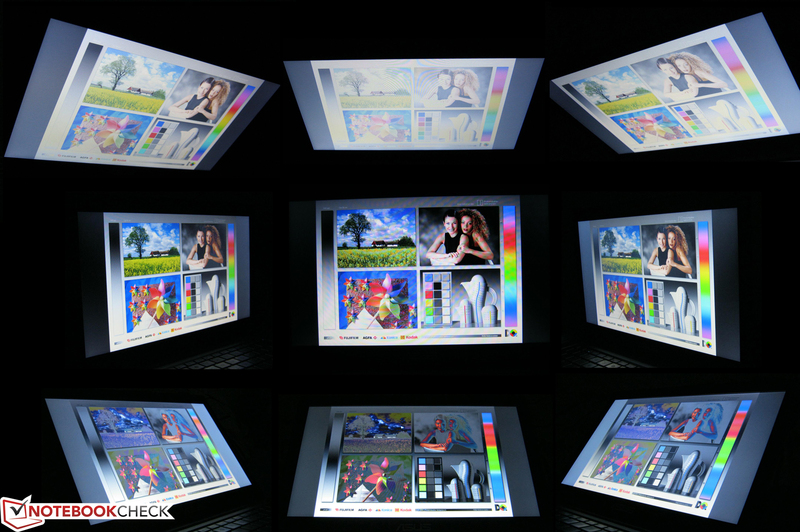 With the Gossen Mavo-Monitor, a high maximum brightness of 470 nits was recorded on the center of the screen. When unplugged, this fell to about 383 nits, which is still very reasonably lit and even brighter than the 13.3-inch MacBook Air. 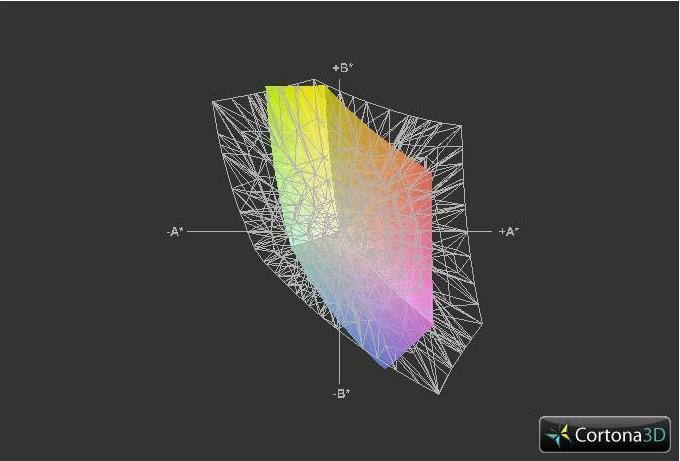 The brightness distribution is also very good and is in line with the smaller UX21. 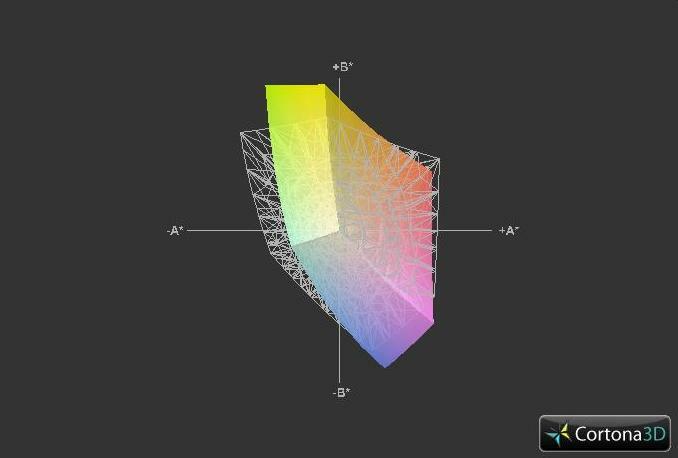 The color space achievable with the UX31 is average overall, but could have been better. 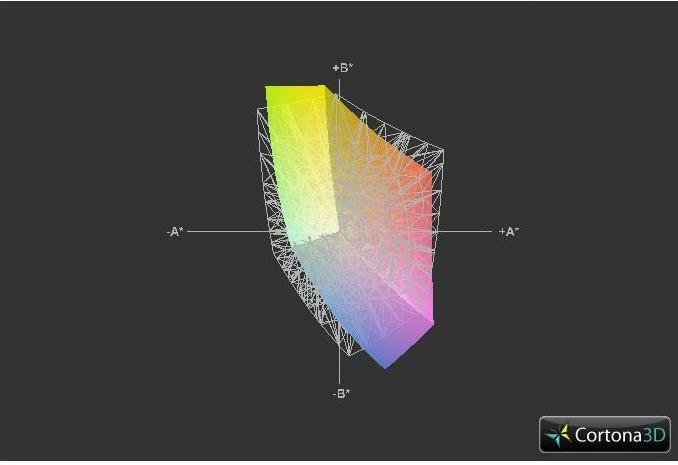 The Aspire S3, for example, actually covers a wider gamut of colors in terms of total volume. If compared to the MacBook Air and the UX21, the 13.3-inch Asus is about on par. Still, the UX31 only occupies about 60 percent of sRGB, so the screen may not be ideal for professional graphic artists where strict color representation is required. But, for everyday word processing and office users, the screen can definitely do its job. For outdoor use, the heavy glare from the glossy screen can translate into difficulty for viewing texts and images. Fortunately, the high maximum brightness can somewhat alleviate the problem. Battery life will of course take an impact, but the notebook itself becomes very usable if under shade and as long as distracting reflections can be avoided. Viewing angle stability is notebook typical. As is normal for TN screens, colors are very sensitive to user position, especially if viewing from angles below the normal. Of course, as long as the main user is viewing the monitor head-on, this will not be an issue. Horizontal viewing angles are good, but colors begin to invert at about 15 degrees vertically. The heart of the UX31-RSL8 lies a 1.7GHz Core i5-2557M with Turbo Boost up to 2.4GHz for both cores. As an ULV processor, the CPU has a 17 watt TDP, or almost half of other full voltage Sandy Bridge cores. As a result, clock speeds have been reduced in favor of battery life and lower heat dissipation, a common strategy in the ultrathin notebook category. 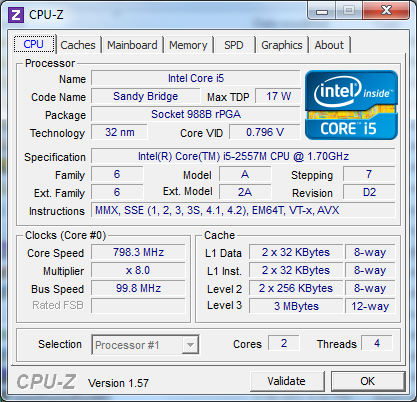 Popular competitors such as the Samsung Series 9 and Aspire S3 also make use of ULV Sandy Bridge cores. The 13.3-inch MacBook Air in particular uses the same CPU as the Asus under review. As is usual with second generation Core ix CPUs, the UX31 is equipped with the integrated Intel HD Graphics 3000 GPU. While it can support Turbo Boost up to 1.2GHz in the review model, it is still an entry level offering, so don’t expect to play many modern PC games at high or even medium settings without getting a slideshow. Otherwise, the GPU clock speed will idle at 350MHz, according to HWiNFO. A full review of the integrated GPU can be seen here. 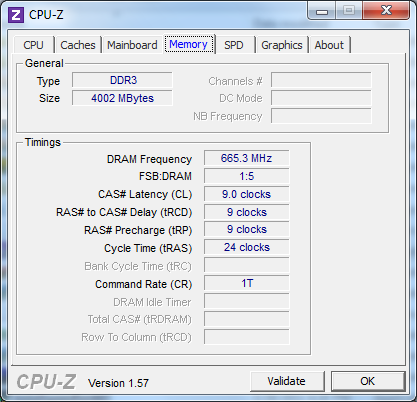 For RAM, the now standard 4GB DDR3 memory is included. Note that the modules are integrated directly onto the motherboard itself to reduce size and weight, so adding or removing memory is impossible for the user. No recurring high latency peaks were detected with the DPC Latency Checker, even with wireless radios active. In the CPU-oriented benchmarks, the UX31 proves its processing power against the competition. 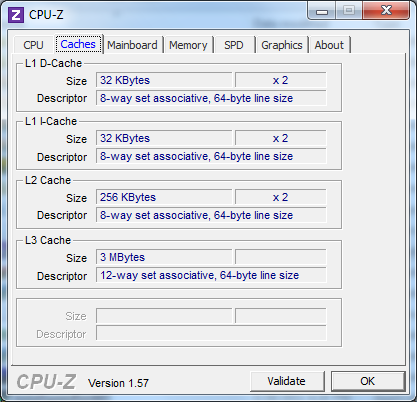 Its CineBench R10 64-bit single-core and multi-core scores, for example, sit at 4204 and 8349 points, respectively. 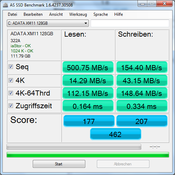 The Acer Ultrabook with its 1.6GHz Core i5-2467M was only able to achieve 3523 and 7121 points in those same benchmarks. 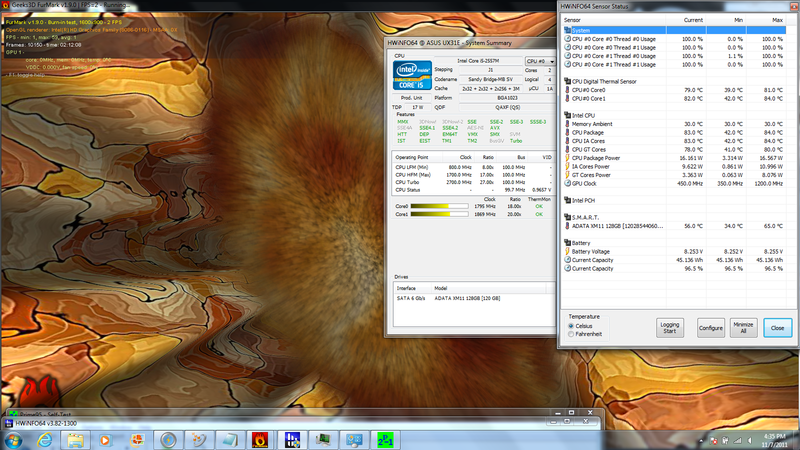 The 1.4GHz Core i5-2537M in the Samsung Series 9 is also handily outperformed by the UX31 in this regard. The similarly equipped 13.3-inch MacBook Air scored practically the same as the Asus at 4201 and 8266 points, respectively. What makes this particular Asus notebook even better is its ADATA XM11 SSD. This SATA III drive is powered by the SandForce SF-2281 controller, the same controller that is currently utilized in many aftermarket SATA III SSDs such as the Patriot Pyro, OCZ Agility 3 and Kingston HyperX lineups. With an interface speed of up to 6GB/sec, the UX31 was able to score an amazing 44444 points in the HDD PCMark Vantage test, one of the highest we’ve seen yet for a notebook. This is compared to the 26992 points of the MacBook Air, 23190 points of the Samsung Series 9 and 3193 points of the Acer Aspire S3, all under the same PCMark Vantage benchmark. In our review of the UX21, we gave similar praise to its SSD. With PCMark 7 and PCMark Vantage scores of 3462 and 9231, respectively, the UX31 is nothing to scoff at. In the GPU-oriented benchmarks, the scores are pretty much in line with the integrated Intel HD 3000 GPUs of other notebooks. An overall 3DMark 06 score of 3497 points is a bit less than that of the UX21 and MacBook Air, but more than the Samsung Series 9 and Aspire S3. It’s worth noting that the GPU clock stabilizes at around 450MHz to 500MHz when the entire system is stressed as the GPU Turbo Boost has to share energy resources with the Turbo Boost of the dual-core CPU. Due to lack of DirectX 11 support, 3DMark 11 and Unigen Heaven were excluded in the benchmarks. Extensive benchmarks on the Intel HD 3000 can be found on its dedicated page here. 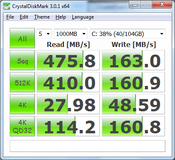 The extremely fast 128GB SSD excels in both CrystalDiskMark (CDM) and AS SSD benchmarks. Its 4k block size random write and read speeds are particularly notable at 48.59MB/sec and 27.98MB/sec, respectively, under CDM. 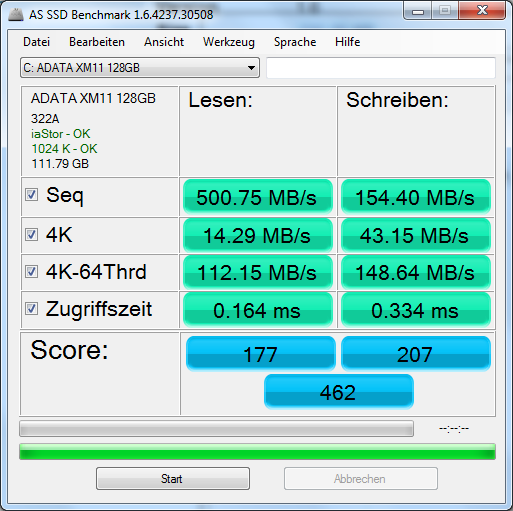 Compared to modern SATA III SSDs such as the OCZ Vertex 3 (82.97MB/sec write; 26.65MB/sec read) and Intel 510 (39.13MB/sec write; 18.90MB/sec read), the ADATA XM11 in the Asus actually holds up quite well in this regard. A cold boot takes about 16 seconds from time of power to the Windows 7 desktop screen. Boot up from a sleep or hibernation status takes only a couple of seconds as expected. The gaming performance of the integrated Intel HD 3000 GPU is already very well known, so we wanted to find out if its performance becomes negatively affected if running on batteries versus AC power. In our Cinebench 11 64-bit OpenGL score, the Asus scored an 8.12 fps with the AC connected and an 8.05 fps when only on batteries. 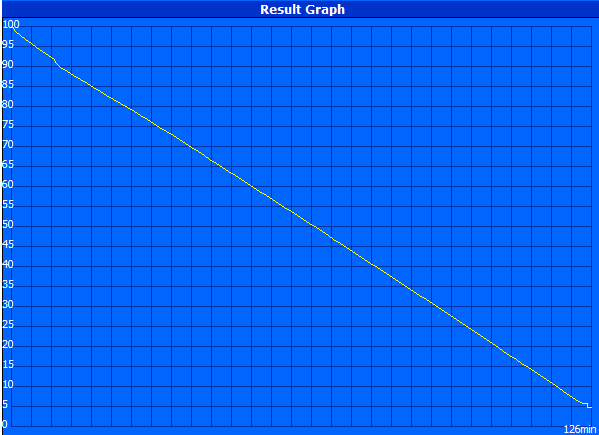 The dip in performance is ever so slight and was barely noticeable in our FIFA 12 tests. 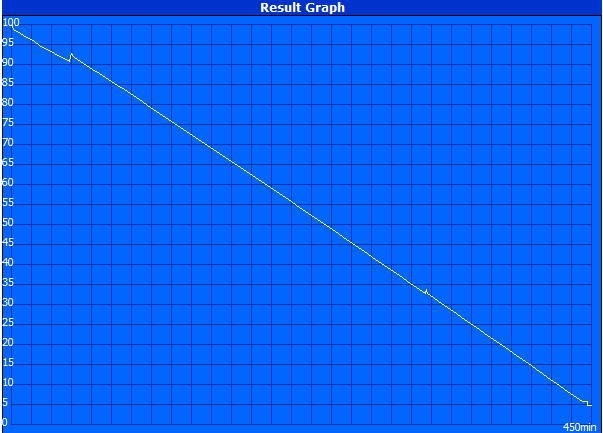 The results below were done with the notebook plugged in, but the results off batteries were only 1 fps less in the medium and high game settings. This fares much better than the Aspire S3, which saw noticeably more drops in frame rates under the same testing conditions. Fan noise is practically nonexistent when the notebook is under word processing, light web browsing or otherwise idle states. A slightly more audible whirring can be heard during high definition playback, but nothing is distracting. Even under maximum stress, the system fan noise is still very manageable. 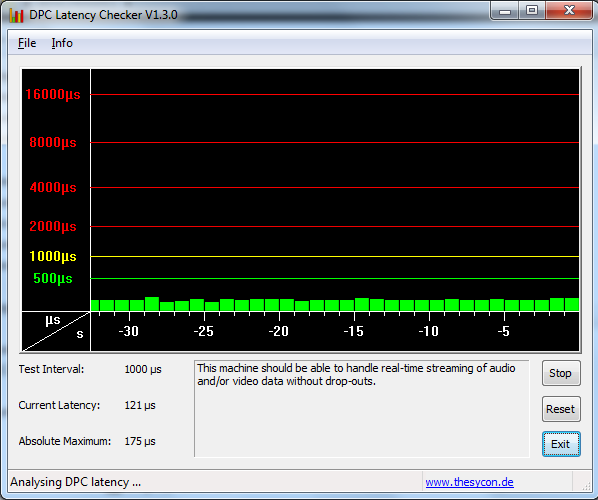 This is in contrast to the smaller UX21, where the laptop emitted high-pitched noises when under load. The extra legroom for ventilation provided by the larger chassis here may have aided in the overall noise decrease. Users in libraries or classrooms shouldn’t have to worry at all about causing any commotion with the UX31. The Asus notebook can become slightly warm at idle and even warmer under stress. In particular, the upper portions of the notebook (both from the underside side and keyboard side) can become much warmer than the rest of the notebook. On average, the top and bottom of the notebook were both about 26 degrees C when idle. Ambient temperature at time of testing was 18 degrees C.
Under maximum stress, the notebook temperature increased by an average of 6 degrees C on both the top and bottom sides. The section that experienced the largest rise in temperature was on the center top surface, or right above the F8 key, where a rise of 12 degree C was measured. Meanwhile, the front edge of the notebook was still relatively cool, particularly the left hand side. The bottom side never became unbearably hot, so extended laptop use on one’s lap should be of no problem. After two hours of stress testing under FurMark and Prime95, no throttling was observed. Turbo Boost was monitored with HWiNFO and both CPU cores never dipped below 1.7GHz. In fact, they continued to operate in the 1.7GHz to 1.9GHz range throughout the entire run. The maximum Turbo Boost of 2.7GHz was very short lived and only occurred in the very early minutes of the stress test. Likewise, the GPU was more or less hovering around 450MHz and only touched 1.2GHz in the beginning. The 3DMark 06 CPU score post stress was close to the original score at 2758 points. (±) The average temperature for the upper side under maximal load is 32.4 °C / 90 F, compared to the average of 30.7 °C / 87 F for the devices in the class Subnotebook. (±) The maximum temperature on the upper side is 42.8 °C / 109 F, compared to the average of 35.8 °C / 96 F, ranging from 22 to 57 °C for the class Subnotebook. (+) In idle usage, the average temperature for the upper side is 26.6 °C / 80 F, compared to the device average of 30.7 °C / 87 F.
(±) The average temperature of the palmrest area of similar devices was 28.6 °C / 83.5 F (0 °C / 0 F). The sound system is provided by Bang & Olufsen’s ICEpower speakers through the long bar that connects the monitor portion of the notebook to its base. Therefore, the two angled speakers face directly towards the user for maximum effect. Sound quality from the notebook is very good, especially considering its size, but the small build still limits its abilities to produce strong bass and accentuate softer instruments when playing music. Volume is especially loud, even at its lowest setting. Unfortunately, ramping up the volume to over one-third of its maximum will begin to degrade the output quality. Of course, utilizing external sources via the audio socket would be ideal for longer music or video sessions. The UX31 Zenbook includes a built-in 6840mAh, 50Whr lithium-polymer battery module and while it is accessible by loosening the 10 screws from underneath the notebook, it was not built to be user replaceable. Asus promises over 7 hours of battery life off of one full charge. We were able to confirm this in our BatteryEater Reader’s Test, where we clocked in at 450 minutes before the notebook finally shut down. Windows was set at the Energy Saver profile with minimum brightness and WLAN enabled, but was not allowed to sleep or hibernate. Meanwhile, The BatteryEater Classic Test was used to measure the minimum battery life attainable. The notebook, under maximum brightness and the High Performance profile, ran for 125 minutes before shutting down. A more real-life test was done with the Balanced profile setting and the screen set at 60 percent brightness. With constant web browsing, Flash enabled and the occasional Hulu videos, we were able to hit 314 minutes before the 5 percent battery warning popped up. From zero to full, the notebook takes about 2.5 hours to charge. Overall, the battery life comes in as good, but unfortunately not as long-lasting as the 13.3-inch MacBook Air with the same CPU by potentially more than a couple of hours. 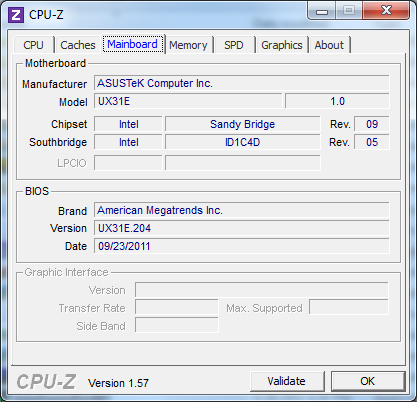 The Samsung Series 9 can also outlast the Asus, but is worth mentioning that it uses a slower clocked Core i5-2537M CPU. The UX31, however, trumps the Aspire S3 by notable margins even though the latter has a less powerful Core i5-2467M. Against the smaller UX21 equipped with a Core i7-2677M, the UX31 wins due to both its larger battery capacity (50Whr vs. 35Whr of the UX21) and slower Core i5. 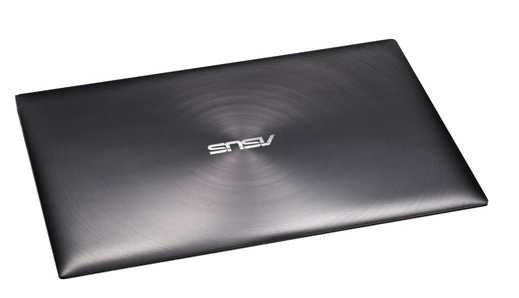 The ULV CPU of the Asus does generally leverage it above other 13.3-inch notebooks with standard voltage processors. The Lenovo X1 with its Core i5-2520M CPU, for example, is no match against the UX31 in terms of battery life. After the somewhat disappointing Acer Aspire S3, the Asus UX31 was a bit worrying at first. Fortunately for us, the 13.3-inch Zenbook performs admirably and was able to hit each spot that the Acer Ultrabook missed. For one, the top quality aluminum alloy construct as well as the comfortable keyboard are definitely worthy of the premium $1000+ USD price tag. The especially high brightness and native resolution of the screen deserve another mention here as well. It’s easy to see that much care and consideration went into the physical build and impression of the ultrathin design. 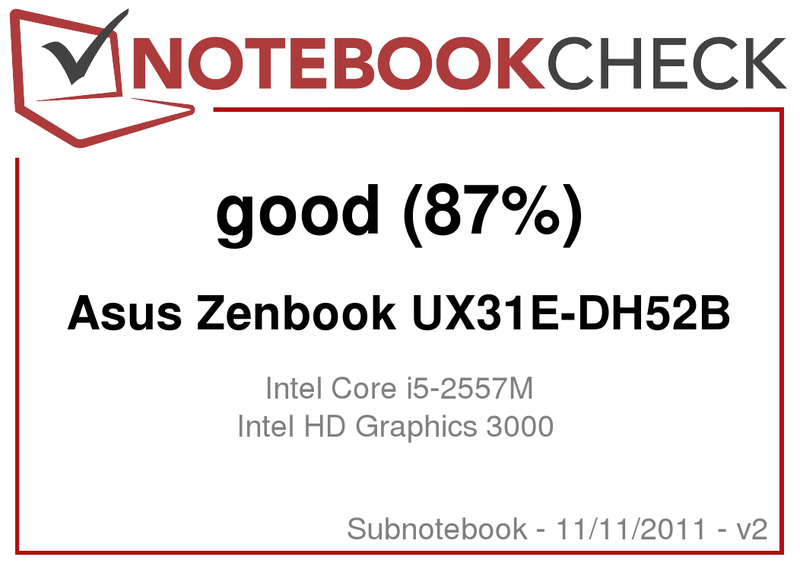 We can safely say that this Asus notebook can take a small amount of beating here and there with moderate use and still look practically new. 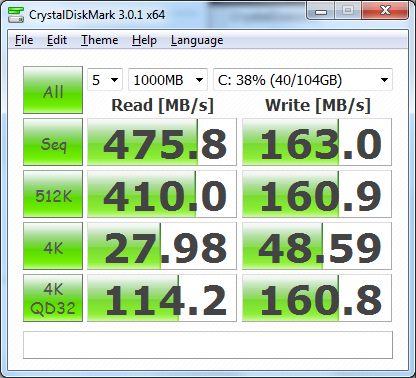 Secondly, the SATA III SSD performance is where the Zenbook really shines. As with the UX21, this 13.3-inch variant is superfast with regards to access times, even when compared to other notebooks with SSDs. It especially blows the Acer Aspire S3 out of the water, but of course users who opt with the speed benefits of the SSD will be sacrificing quite a bit in total storage capacity. In this case, however, we’d gladly take the performance gains over the hybrid SSD and HDD setup of the competing Acer Ultrabook. There are a few minor drawbacks to keep in mind, however. A matte screen option would have been ideal, especially for those users where outdoor use may be more commonplace. The battery life, while better than the Aspire S3, is a little bit worse than the 13.3-inch MacBook Air. A backlit keyboard would have also gone a long way to adding even more value to the notebook, but may have made the battery life even worse. Users must also remember to update the touchpad driver ASAP to version 9.1.7.7 or later in order to improve its precision and usability. After all, nothing’s more annoying than having a brand new notebook being held down by an unreliable touchpad. Follow the 'Download' tab in Asus' official website here for all the updated drivers. As Asus’ first stab at the Ultrabook market, the Zenbook series has so far left very positive impressions all around from its superb quality, bright screen and speedy performance. If you want an early Ultrabook, the Asus lineup is the one to beat. For fun, here is the UX31 next to a 2005 Dell Inspiron 600m. Six years in the notebook world goes a long way! The super-fast SSD brings us one of the most responsive notebooks yet. This is wrapped up in a solid aluminum alloy build with a speedy Sandy Bridge CPU. The Touchpad is a small misstep, but driver updates bring it up to par. A backlit keyboard and matte screen option would have made the notebook even more appealing. The first generation Zenbook series has made a big splash in the still young Ultrabook market. If Asus can keep this up and lower their prices, then we may have a serious MacBook Air competitor in no time. Immediate competitors include the Acer Aspire S3 and 13.3-inch MacBook Air. General competitors include the Lenovo X1, Dell Inspiron 14z and Samsung Series 9. 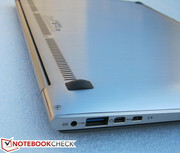 More Ultrabooks, such as the Lenovo U300s, are expected to launch within the coming months.